Queen Letizia did something rare and notable this week. Even though Her Majesty usually doesn’t wear tiaras or has preferred smaller ones, she wore one of the larger pieces in the royal collection for a state dinner for Argentina’s new president and first lady. Queen Letizia wore the fleur-de-lis tiara from Spanish jeweler Ansorena that Queen Victoria Eugenie wore on her wedding day to Alfonso XIII in 1906. Some commentators said the Queen wore the tiara to overshadow President Macri’s wife, Juliana Awada. Also in recent days, Barcelona’s Gran Teatro del Liceo gave Queen Sofia a gold medal for her commitment to the arts. 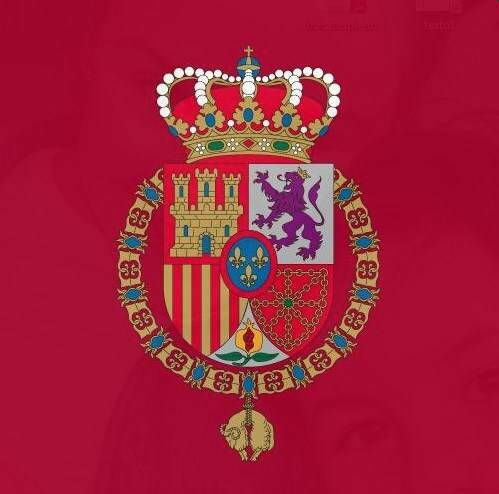 Separately, a Palma de Mallorca court is not making King Felipe’s brother in law Iñaki Urdangarin report to prison following his corruption and fraud conviction. A long appeals process is likely. King Felipe addressed problems facing the European Union and Spain’s plans to work with the new Trump administration in the United States. King Felipe’s father, King Juan Carlos, was the first head of state to visit President Obama at the White House. But Spain has said little about Trump. The King spoke in the Throne Room. The reception was nearby in the stately Hall of Columns. King Felipe and Queen Letizia met with German President Joachim Gauck and his partner Daniela Schadt. Spain and Germany have close business and political ties. The two couples had lunch at Zarzuela Palace in Madrid.